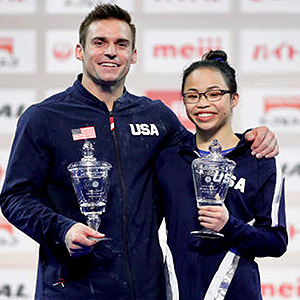 TOKYO, April 7, 2019 -- Morgan Hurd of Middletown, Del./First State Gymnastics, and Sam Mikulak of Newport Beach, Calif./U.S. 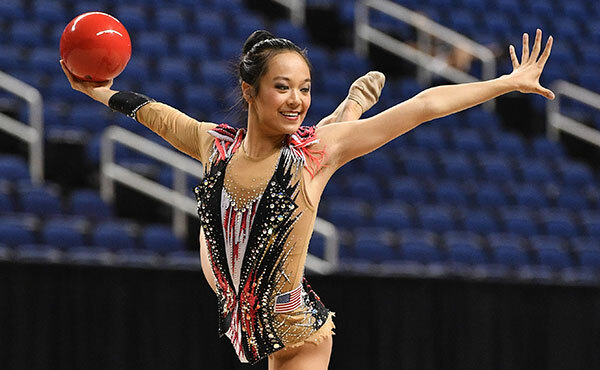 Olympic Training Center, won the all-around titles at the 2019 World Cup in Tokyo, Japan. 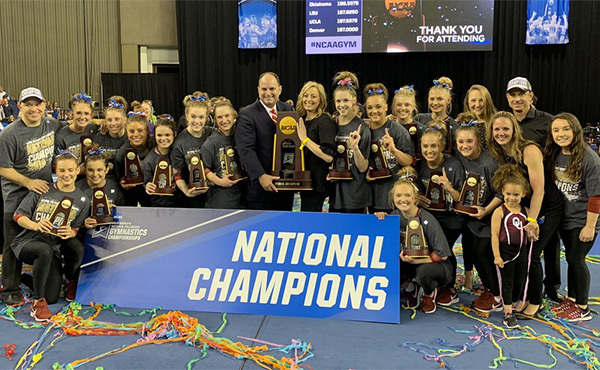 Based on the results at the World Cup held at the Metropolitan Gymnasium at Musashino Forest Sport Plaza, the United States won the International Gymnastics Federation’s all-around World Cup Series for both men and women. U.S. fans can watch the competition today on the Olympic Channel and NBCSN, both have a simulcast. In the women’s competition, it came down to the last event. Hurd’s 13.633 for her floor exercise held up against Canada’s Ellie Black’s effort that yielded a 13.266, and sealed Hurd’s victory. The 2017 World all-around champ posted a total 55.099 for the title, just 0.067 ahead of Black at 55.032. Japan’s Asuka Teramoto was third (54.799). 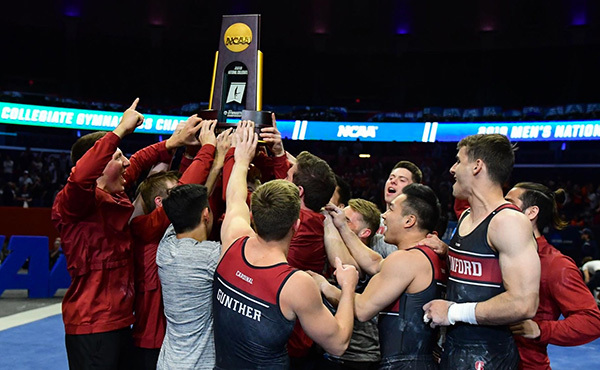 Hurd’s individual event scores were: vault, 14.233; uneven bars, 14.300, the top mark; balance beam, 12.933; and floor exercise, 13.633, the highest score. Mikulak won the men’s title with an 86.599, besting hometown favorites Wataru Tanigawa and Kenzo Shirai of Japan, who posted an 85.665 and 82.964, respectively. 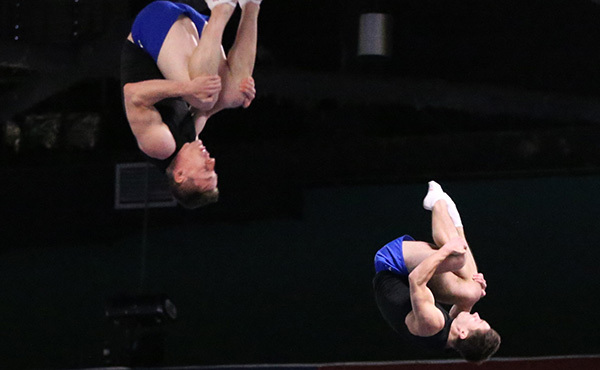 All six of Mikulak’s scores were above 14.000, finishing in the top three in five of the six events. 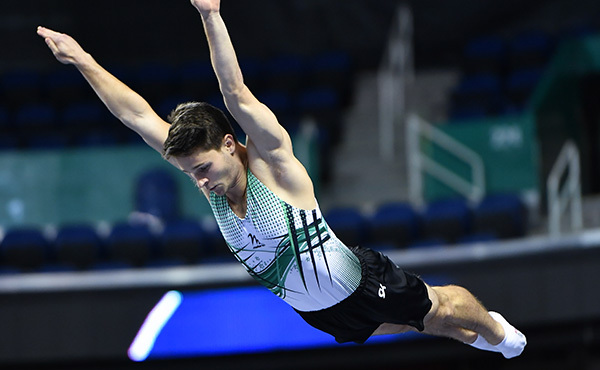 His event scores were: floor exercise, 14.200; pommel horse, 14.200, top score; still rings, 14.300; vault, 14.533; parallel bars, 14.600; and horizontal bar, 14.766, event best. Today, the Olympic Channel will telecast the women at 10:30 a.m. ET, with a simulcast, and the men at 12 p.m., with a simulcast. The women’s competition will also be shown on NBCSN at 9 p.m. ET, with a simulcast.